Men’s Outfits with Skinny Jeans. Skinny jeans have been in the trend long enough to become a valuable fashion asset for those who love being up to date since fashion could be so demanding. Women and men alike, are equally influenced by every new fashion element that comes into the market each year or gets featured in a valued brand name or a magazine. For men, skinny jeans were rather thought to be an inappropriate element, because of the fitness feature it comes with. But then the concern of inequality comes in, which allows women to dress a certain way and the same privilege isn’t offered to men. 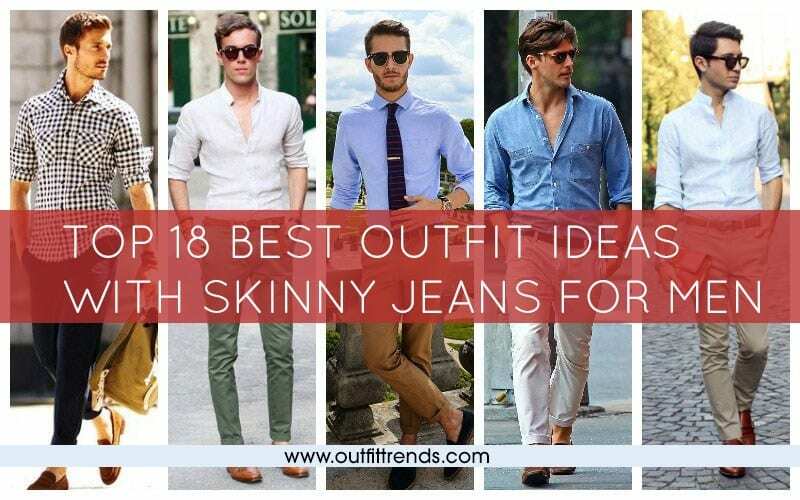 But you no longer have to feel that way, because here are 18 great ideas for outfits that go very handsomely with skinny jeans and will suit all men well. Have a look, and break stereotypes latched to fashion. Rock skinny jeans for men with boots and own the individuality and classiness of your style! Even if you happen to be off for a mundane morning walk, you can make it classier with a sensual skinny jeans addition. Vintage is apparently the new cool and is a competitive outfit with skinny jeans for men, featuring very strongly this year. Here is this one, with the mediocre denim skinny look for guys who tend to be a bit too nostalgic with fashion. For some reason, loafers and skinny pants are ruling every man’s street looks. For those, who happen to have a whole of business trips and formal gatherings, styles like this will come in handy! 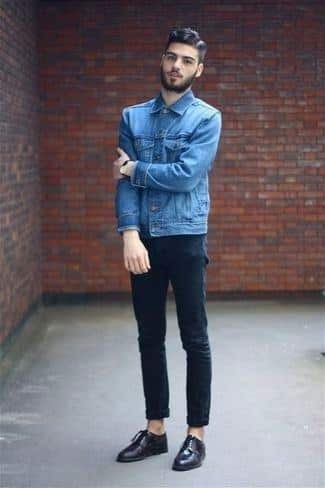 Skinny jeans have now been ruling the suits and formal dressing as well as casual styles, and all so very with equal style. A sophistication so creatively formal that it makes it a flawless match for teen boys as well as men. Don’t forget to put on these matchless shades. The absolute swagger ripped jeans look for the days when you want to shed your ultimately satisfying swag and catch eyes.